This super simple pesto rice recipe is full of wonderful flavor. This is a fabulous recipe to serve alongside a roast chicken or meatloaf for an easy family dinner. This recipe only uses three ingredients, but it tastes like so much more than that. You can use your own homemade pesto or buy some pesto at the grocery store. Pesto is an Italian sauce made from fresh basil, garlic, Parmesan cheese, olive oil, and pine nuts. You can make your own if you can find fresh basil in the market, or if you grow your own basil. It's easy to make and takes only as long as needed to put the ingredients in your food processor. But pre-made pesto is also delicious. Frozen brown rice is a great convenience food. It's super fast to make and it always turns out perfectly. If you want to serve more people, double or triple the recipe. You can also make this recipe by using cooked brown rice. Cook it according to the package directions until it's tender, then drain it if necessary. It's also easy to save some rice without the pesto to serve to picky eaters. Cook the rice as directed on the package, preferably in the microwave oven. When the rice is done, spoon it into a serving dish. Stir in the pesto and the Parmesan cheese. Once you have learned the trick of stirring pesto into rice, you can vary the recipe using different types of pesto and rice and serve it with a wide variety of cuisines. Besides basil pesto for Italian cuisine, pesto can be made with spinach, other leafy greens, or with herbs such as cilantro or parsley. For example, cilantro pesto rice goes great with Mexican, Asian, or Indian cuisine. Parsley pesto matches well with French cuisine. Spinach pesto will be milder and can be served with steak as an alternative to a baked potato or creamed spinach. 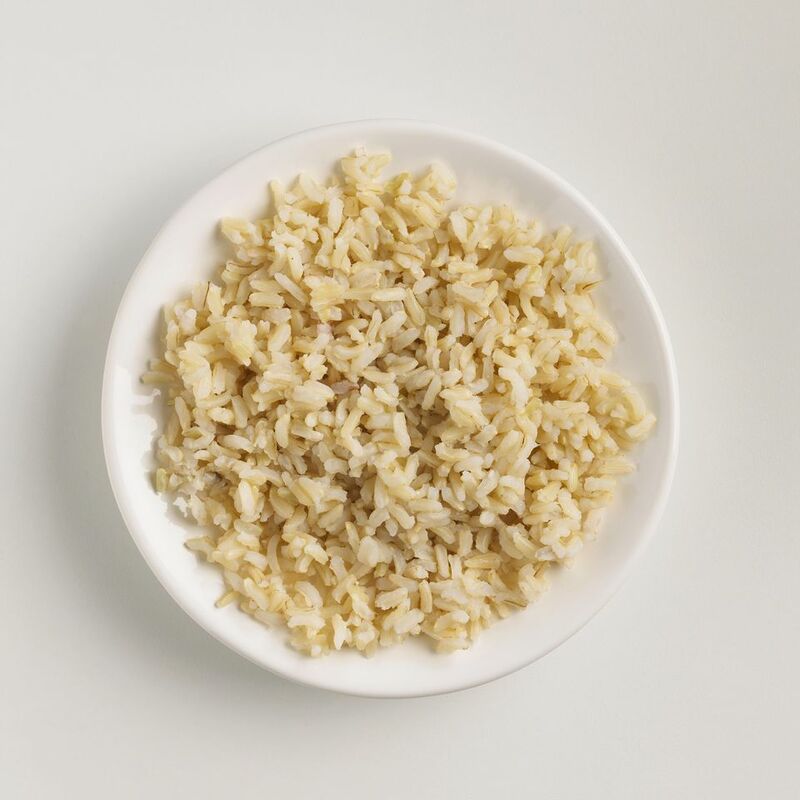 Instead of brown rice, you can use white rice and match the type to the cuisine you are serving. For example, Basmati rice is more traditional with Indian cuisine and jasmine rice is used in Thai cuisine. Medium or long grain rice is used in Chinese cuisine and short grain rice in Japanese cuisine. Each has slightly different cooking instructions, so be sure you follow what you see on the package. Don't be afraid of cooking rice rather than using frozen rice. A simple gadget such as a rice cooker will make perfect rice every time in one step and it will be done by the time you are finished preparing the rest of the meal.